Fortified wine is wine to which a distilled beverage (usually brandy) has been added. When added to wine before the fermentation process is complete, the alcohol in the distilled beverage kills the yeast and leaves residual sugar behind. The end result is a wine that is both sweeter and stronger, normally containing about 20% alcohol by volume (ABV). The original reason for fortifying wine was to preserve it, since ethanol is a natural antiseptic. Even though other preservation methods exist, fortification continues to be used because the fortification process can add distinct flavors to the finished project. Fortified wine is distinguished from spirits made from wine in that spirits are produced by means of distillation, while fortified wine is simply wine that has had a spirit added to it. Many different styles of fortified wine have been developed, including port, sherry, madeira, marsala, and vermouth. In the case of some fortified wine styles (such as late harvest and botrytized wine), a naturally high level of sugar will inhibit the yeast. This causes fermentation to stop before the wine can become dry. Vineyards in India range from the more temperate climate of the northwestern state of Punjab down to the southern state of Tamil Nadu. 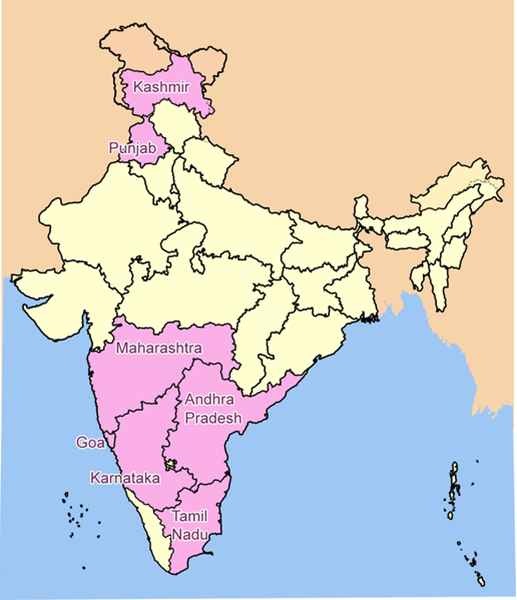 Some of India's larger wine producing areas are located in Maharashtra, Karnataka near Bangalore and Andhra Pradesh near Hyderabad. Within the Maharashtra region, vineyards are found on the Deccan Plateau and around Baramati, Nashik, Pune, Sangli and Solapur. The high heat and humidity of the far eastern half of the country limits viticultural activity. India has forever remained a land of dichotomies. It has always perceived a notion in almost two totally paradoxical perspectives. And wine or liquor is no exception to this rule. When on one hand it was a drink of festivities; it was also considered a forbidden affair for the society at large. Drink was considered as a ‘Taamasi’ food that is always subject to repudiation as it only results in bad thoughts and behaviour. But it was never shunned completely and pervaded every spatial and temporal dimension. Since the very inception Indians had the native familiarity with Wine. This becomes apparent with the artifacts found at the sites of Harappan Civilization. During the Vedic period wine was often referred to as Somarasa; it was believed to be associated with Indra, and was a part of religious festivals. Soma is mentioned in Vedic scriptures as well. Also the reference of Drakshasava is found in ayurvedic texts which was basically a delicious digestive preparation made from ripened red grapes, cinnamon, cardamom, nagkesara, vidanga, tejpatra, pippali, and black pepper and contained natural alcohol. Indian wine is wine made in the Asian country of India. Viticulture in India has a long history dating back to the time of the Indus Valley civilization when grapevines were believed to have been introduced from Persia. Winemaking has existed throughout most of India's history but was particularly encouraged during the time of the Portuguese and British colonization of the subcontinent. The end of the 19th century saw the phylloxera louse take its toll on the Indian wine industry followed by religious and public opinion moving towards the prohibition of alcohol. Following the country's independence from the British Empire, the Constitution of India declared that one of the government's aims was the total prohibition of alcohol. 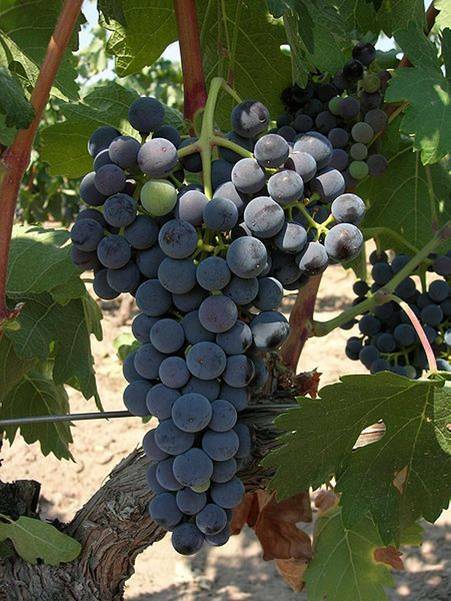 Several states went dry and the government encouraged vineyards to convert to table grape and raisin production. In the 1980s and 1990s, a revival in the Indian wine industry took place as international influences and the growing middle class increased started increasing demand for the beverage. By the turn of the 21st century, demand was increasing at a rate of 20-30% a year. Gran Reserva wines typically appear in above average vintages with the red wines requiring at least 5 years ageing, 18 months of which in oak.Gran Reserva whites and rosés must be aged for at least 4 years with at least 6 months in oak. Denominación de Origen (Denominació d'Origen in Catalan - DO)- This level is for the mainstream quality-wine regions which are regulated by the Consejo Regulador who is also responsible for marketing the wines of that DO. In 2005, nearly two thirds of the total vineyard area in Spain was within the boundaries a DO region. Additionally there is the Denominación de Pago (DO de Pago) designation for individual single-estates with an international reputation. As of 2009, there were 9 estates with this status. Spanish wines are wines produced in the southwestern European country of Spain. Located on the Iberian Peninsula, Spain has over 2.9 million acres (over 1.17 million hectares) planted—making it the most widely planted wine producing nation but it is only the third largest producer of wine in the world, the largest being Italy and France. This is due, in part, to the very low yields and wide spacing of the old vines planted on the dry, infertile soil found in many Spanish wine regions. The country is ninth in worldwide consumptions with Spaniards drinking, on average, 10.06 gallons (38 liters) a year. The country has an abundance of native grape varieties, with over 600 varieties planted throughout Spain though 80 percent of the country's wine production is from only 20 grapes—including Tempranillo, Albariño, Garnacha, Palomino, Airen, Macabeo, Parellada, Xarel·lo, Cariñena and Monastrell. Major Spanish wine regions include the Rioja and Ribera del Duero which is known for their Tempranillo production; Jerez, the home of the fortified wine Sherry; Rías Baixas in the northwest region of Galicia that is known for its white wines made from Albariño and Catalonia which includes the Cava and still wine producing regions of the Penedès as well the Priorat region.